How to Pick the Perfect Wood Fence - Wood Fence Materials and More at Fence Supply Inc.
Are you scratching your head over the many options and styles available for a new wood fence? Don’t worry, Fence Supply Inc. is here to help. We are just a phone call away and we will be happy to help you through this process. All we need is your measurements for your fence project to help you estimate what and how many materials you need. See our article Measuring For My Fence Project. 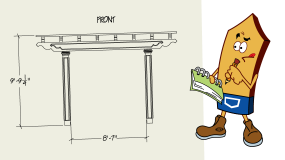 This information is very important to give you an accurate estimate for materials. Choosing a great Wooden Privacy Fence can be a very straightforward process. In fact, the process should begin with a simple question of how long you would like the wooden fence to last. The cost of a new wooden fence is important, but this should not be the deciding factor. Longevity and functionality is a much better fence decision maker. Your first step is to pick one of the four types or species of wood. Western Red Cedar has natural durability and exceptional beauty that bring warmth, character and longevity to your fence project. Western Red Cedar is great for both residential and commercial projects. Whether you choose a #1 grade, with small, tight knots, or the Cadillac of cedar grades, clear, Western Red Cedar offers virtually unlimited versatility and design flexibility. Western Red Cedar is a truly sustainable fencing material. It has the lowest environmental impact when compared with other fence materials such as brick and stone. Go Green with Cedar. Western Red Cedar is one of the world’s most durable woods. Natural resistance to moisture, decay and insect damage has long made Western Red Cedar the premier choice for either privacy or decorative fence projects. Fibers in cedar heartwood contain natural preservatives that are toxic to decay-causing fungi. Fence Supply Inc strives to help customers stretch their fence dollars as far as possible. We offer some great alternatives to western red cedar that last almost as long. Currently we offer two such products: Everwood and Aromatic Cedar. These are cousins of western red cedar and offer almost the same longevity and durability, at less of a cost. Note: most companies will sell you these products and call them western red cedar. Fence Supply Inc. will not do this. We always want our customer to understand the product they are receiving. Come in and check out these two varieties yourself to see the difference. If you are offered a “cedar product” from another company, and the price seems too good to be true, it probably is. 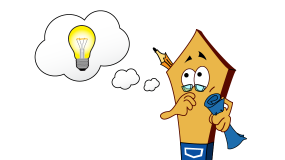 Ask lots of questions, and come in to Fence Supply Inc., where you will be sure to get honest answers. Treated pine is a great product as an alternative to Western Red Cedar. It is more cost effective than cedar and has a good, long lifespan. All of our treated pine is treated with MicroPro® technology, a revolutionary way to pressure treat wood for decks, fences, landscaping and general construction uses. MicroPro® pressure treated wood is treated with micronized copper preservatives, which help protect against termite damage and fungal decay. MicroPro® offers many benefits including significantly improved corrosion performance. 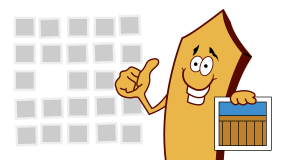 MicroPro®-treated wood products are U.S. building code compliant. Osmose MicroPro® technology is the first treated wood process to be certified under Scientific Certification Systems Environmentally Preferable Product (EPP) program based on Life-Cycle Assessment. Spruce is a great, economic privacy fence option. 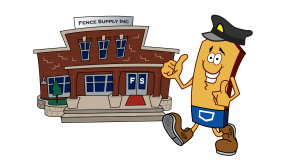 Fence Supply Inc. has a few different options when spruce fencing is the fence of choice. Spruce fencing accepts stain very well to extend the life of the fence and give a nice rich look. SPF lumber is seasoned uniformly in dry kilns to a moisture content of 19% or less. Kiln drying inhibits natural staining of the wood, improves its strength and stiffness, enhances its appearance and increases its resistance to decay and attack by insects. SPF has a high strength-to-weight ratio and is well known for its outstanding working properties. It takes and holds nails exceptionally well and is easily worked with hand and power tools.